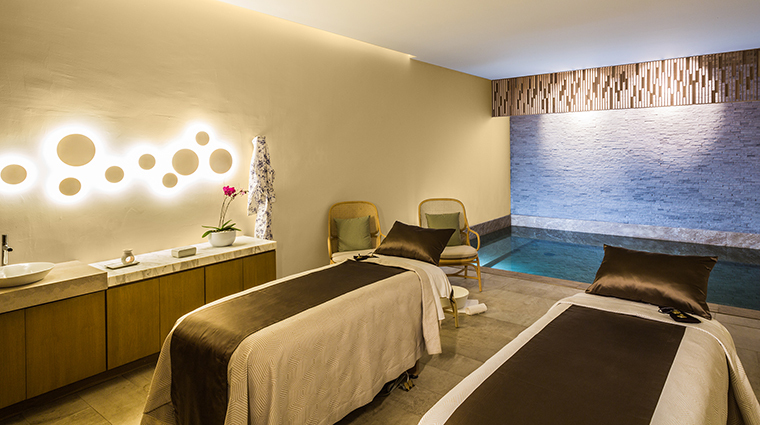 Introspection and renewal are the goals of the wide-ranging holistic therapies offered at Spa at Grand Velas Los Cabos, an expansive new two-level wellness center. With more than 35,000 square feet, the facility is one of the largest in a region renowned for its world-class spas. 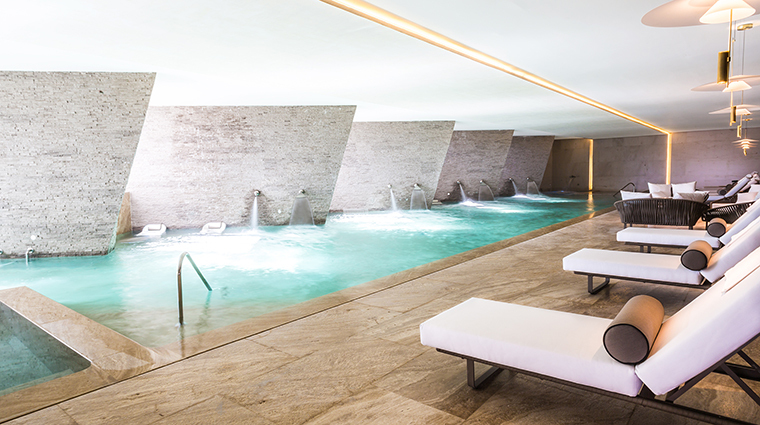 The vision for the spa is consistent with therapeutic approaches at other Grand Velas Resorts, a family-owned Mexican hotel company. A dragonfly was chosen as the spa’s totemic symbol, and it’s not simply an evocative branding tool — it is meant to be representative of a connection and a commitment to age-old traditions and healing practices. Arriving at the Los Cabos spa is like entering a realm of the senses. Enticing aromas and mood-altering music vary from room to room. The chic, modern design is a feast for the eyes, with sleek appointments, rich marble floors and curvaceous contours as well as some stunning uses of natural light. Spa staff (referred to as “body artisans”) often appear with revivifying teas, elixirs and palate-pleasing treats. Touch, of course, is at the center of most treatments — not only the full range of massages, but rituals and ceremonies inspired by water, light, sand and sea. Children are also welcome at the property, and in fact can choose from their own age-oriented array of spa treatments. The resort also boasts specific clubs and activities centers to occupy each age group while parents are indulging in romantic spa treatments. 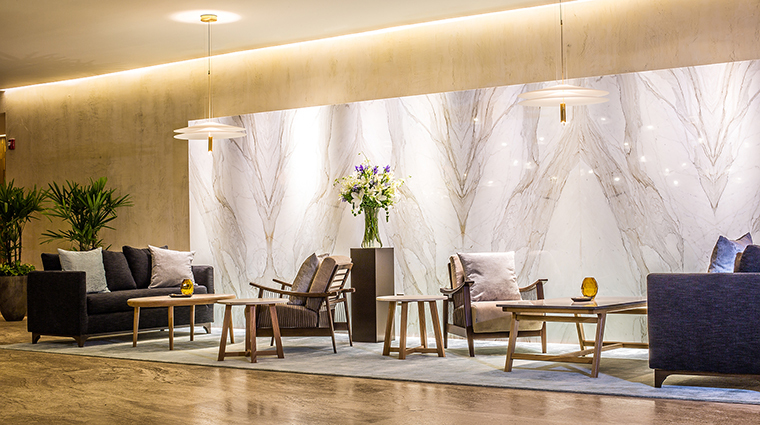 At root, Spa at Grand Velas Los Cabos is a wellness center and was envisioned as something of an antidote to the excesses that pass for therapeutic treatments at many Mexican resorts. This focus is expressed most noticeably in some of the innovative programs. The “Spa Atelier” program is the first concept of its kind in Los Cabos. The 50- to 80-minute workshops are custom-tailored to the needs of guests, and include topics like aromatherapy, tea ceremonies, nutrition, and Ayurvedic medicine. Guys aren’t forgotten at this Los Cabos spa—state-of-the-art fitness facilities are open around the clock, with workouts for men ideally followed by the Insanity Ceremony, a 50-minute sports massage accompanied by a classic shave and pedicure. Mexican- and pre-Columbian-themed treatments such as Tequila Cream and Ancestral Stone massages are specialties at the spa; and the healing properties of Blue Agave, the base of Tequila, are explored in a variety of massages, facials, manicures and pedicures. The Xocolatl is another evocative regional therapy, with a natural coffee exfoliation followed by an invigorating chocolate body mask. The large and scenically set bridal suite offers stunning Sea of Cortés views and a slate of wedding day preparations such as spa therapies and beauty salon services for the bride-to-be and her bridesmaids. Men needn’t feel neglected during any of these proceedings. The Los Cabos spa has its own barbershop showcasing services such as straight razor shaves, hair styling and relaxing scalp and foot massages. Despite its wellness focus, the Los Cabos spa is not immune to luxurious pampering. The pool and bath area, for instance, is so decadently wide ranging that a resurrected Roman emperor might find it excessive. Personalized hydrotherapy rituals provide an introductory journey through the many water-based treatments. Enjoy the Jacuzzi, sauna and steam rooms, sensory showers that mimic falling rain and bracing polar pools that strengthen the immune system. Jets, geysers and bubble beds in the multi-sensorial pools, meanwhile, are designed purely to heighten one’s sense of utter relaxation.